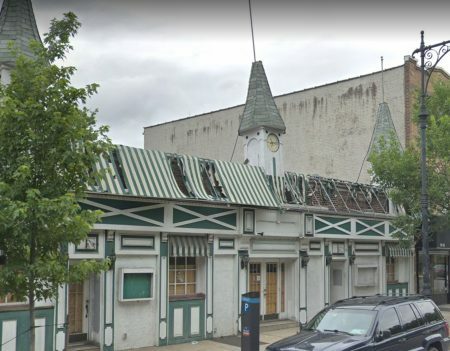 The long-abandoned Belmont Steaks property, located at 79-13 Myrtle Ave., has hit the market again, this time for $1.6 million. The listing comes just four months after the current owner had planned for a new three-story development on the property. The owner, listed as A. Trinchese Myrtle LLC, filed plans with the Department of Buildings in November to build a mixed-use project that would house a healthcare facility and retail store at ground level, along with eight residential units on the two upper floors. Trinchese Myrtle LLC initially purchased the property in 2016 for $885,000. Since then, the vacant restaurant building has remained standing on the property, with no plans filed to demolish it. The horse racing-themed steakhouse, which began operating in the late 90s, has been vacant for more than five years. Since it’s closing, the abandoned building has become a run-down eyesore in Glendale. Last year, several reports were made of a severe fly infestation, believed to be the result of rodents or other wildlife living on the property. At the time, Community Board 5 District Manager Gary Giordano said that the board had filed a formal complaint with the Health Department on the matter, according to the Queens Courier. Council Member Robert Holden’s office also said it was was looking into the issue. The seller did not respond to request for comment. If it is abandoned, how can it be for sale? Abandoned means no one claims to own it. It is unoccupied. I just ate at the Belmont last week. My steak was a bit gamy, but it paired very well with the beautiful bottle of Mateus that I had ordered. 4 Stars.